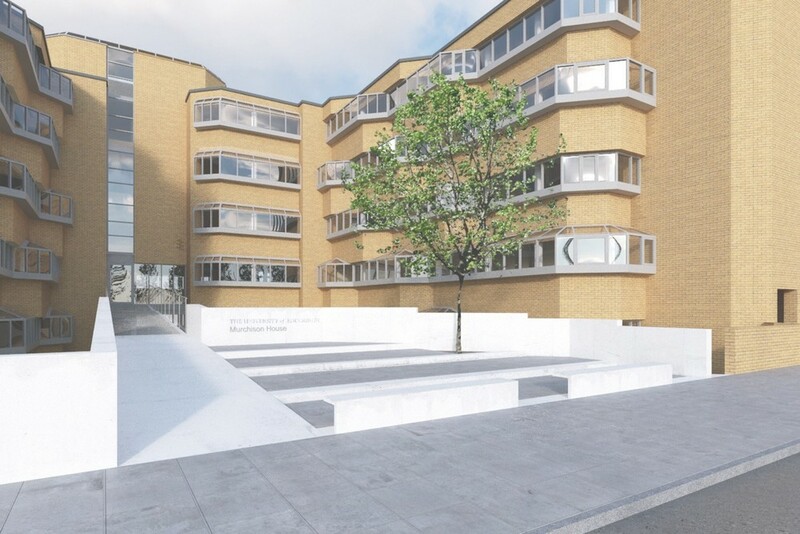 20 Dec – The University of Edinburgh has begun refurbishment of the B-listed Murchison House, former home of the British Geological Survey, within its King’s Buildings campus, reports Urban Realm. 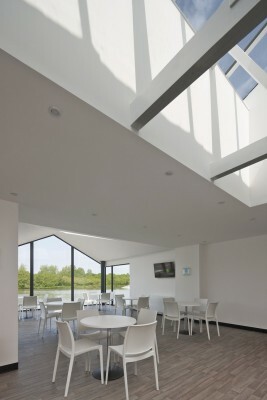 The refurbishment is designed by Reiach & Hall Architects. The £7.7m scheme by contractors Kier Construction is due to complete by September 2018. 19 Dec – An influential working group has been established in the Scottish Government to look into “Protection of Title” for professional electricians and to create “an inhospitable environment” for untrained traders posing as qualified tradesmen. The creation of the group is the latest stage in a concerted campaign by SELECT, the trade body for the electrotechnical trade in Scotland, for official recognition of qualified electricians in the interests of public safety. 18 Dec – Grant of £4.8m from the Heritage Lottery Fund (HLF) for transformational renovation and expansion of Glasgow’s Citizens Theatre by Bennetts Associates, architects: refurbishing the historic auditorium whilst sweeping away later piecemeal additions to allow a wraparound new build structure. See the page Glasgow Architecture news for details. 8 Dec – Consultants WYG and LDA Design have been appointed by The City of Edinburgh Council to draw up a long-term vision for George Street, one of the Scottish capital’s principal shopping streets. Read in full on the Glasgow Architecture website news page. Sarah said: “We are pleased to see the continued commitment to improving the planning system and the introduction of Planning Bill into the Scottish Parliament today. 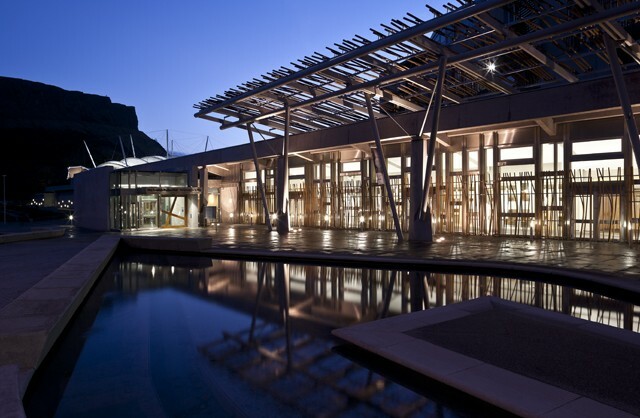 Scotland’s economy needs a flexible, positive and effective planning system, and whilst much work has been undertaken since 2015, we expect that significant questions will be raised during the progress of the Bill. Much information is also still required on the specifics of implementation of new legal and policy mechanisms, even if the Bill does go through. “The challenge of delivering both more, and good quality housing, and the approach to infrastructure provision is far from resolved – it can’t be left to just the planning system to resolve. Also, if there really is to be a step change from that of a regulator, to a positive and active enabler of good quality development and a shift from reacting to proactively supporting investment and development proposals, then there needs to be a significant cultural change and the Bill alone won’t provide that. “Local planning authorities need to be adequately resourced in both financial and human terms, and, having graduated with a planning degree, it stems from the grassroots up starting with Scottish universities creating courses that attracts students to continued and adequate professional development and support for the planning profession, to ring-fencing planning application fees for the planning department. Sarah Baillie is Partner with international law firm Addleshaw Goddard LLP. She leads the planning team in Scotland and is the only solicitor to be dual qualified as both a Law Society of Scotland Accredited Specialist in Planning Law and a Chartered Town Planner retaining membership of the Royal Town Planning Institute. 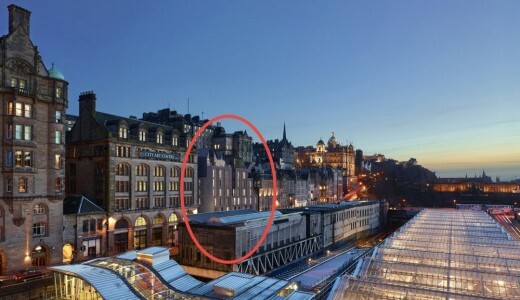 24 Nov – Work on £20m boutique hotel for Edinburgh Old Town gap site reaches ‘topping out’ milestone. Work on building a new £20m hotel on a well-known gap site in Edinburgh’s historic Old Town has reached a crucial milestone with the building reaching its highest point. 18 Nov – Comment added by architect Alan Dunlop. 15 Nov – The Scottish Government should seize the chance of a new review into building standards to make sure that its own approved certifier schemes become mandatory across the construction industry. That was the view last night (Nov 14, 2017) of SELECT, the campaigning body for the electrotechnical trade in Scotland as it responded to the Review Panel on Building Standards (Compliance and Enforcement). 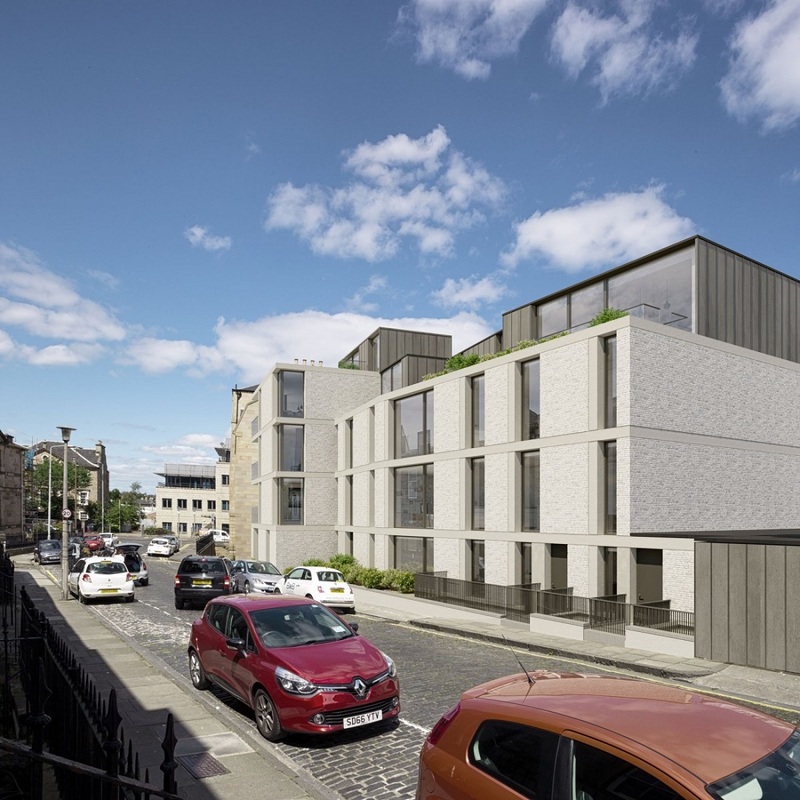 14 Nov – Expresso Property has announced that on-site works are now underway at Park Quadrant, a 98 apartment luxury development in Glasgow’s West End. See the Glasgow building news page for mroe details. 31 Oct – Architecture practice 3DReid has completed a sensitive £2.0 m conversion of three of the few remaining original Princes Street townhouses to office use. By converting the vacant upper storeys of the B-listed buildings and adding a contemporary extension, 3DReid has created 15,810sqft (Gross Internal Area) of light and practical quality office space for client and developer Hazledene House Limited. 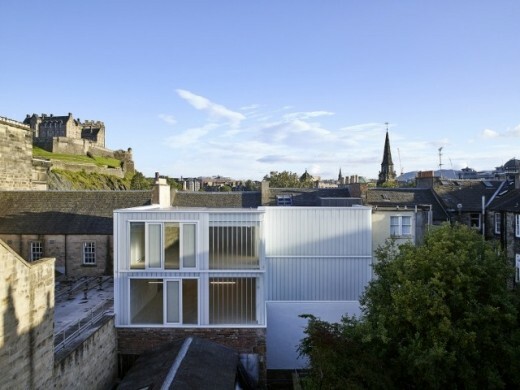 Introduced by Edinburgh Architectural Association President, and 2017 EAA Awards Judge, Julie Wilson, the EAA has brought together architects from four different design practices to talk about their 2017 award-winning projects. More details on our architecture events page. 25 Oct – Engineers at Heriot-Watt University have designed a ‘sacrificial device’ for buildings that will absorb the impact of earthquakes or blasts, preventing collapse and reducing the damage and residual drifts that can render buildings uninhabitable. 23 Oct – Barton Willmore has bolstered its architecture team with nine new recruits as it continues with ambitious growth plans in Scotland. 9 Oct – Homes for Scotland (HFS) today announced the appointment of Ken Gillespie as Chair on a three year term with immediate effect. 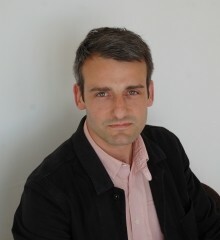 A key figure in the UK construction and home building industries with over 33 years’ experience, Gillespie has been responsible for the development and delivery of residential, commercial and infrastructure schemes both nationally and overseas. Most recently he was Chief Operating Officer of FTSE 250 company Galliford Try where he oversaw revenues of more than £2 billion before he stood down from the Board in 2016. “This is a significant appointment for us. 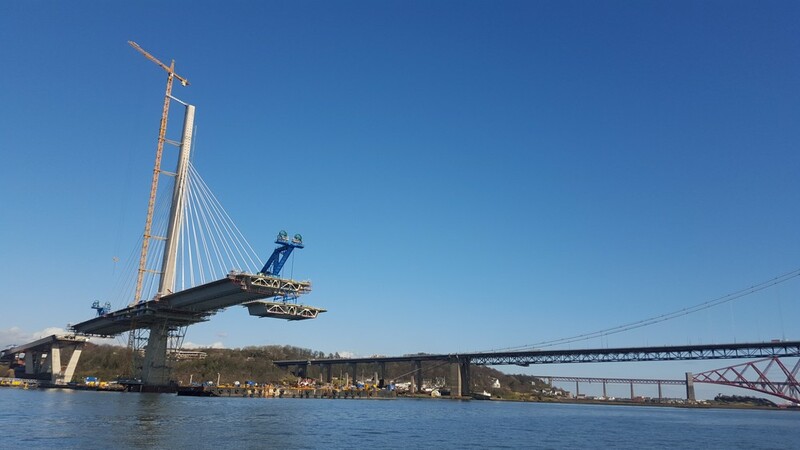 Ken’s work consulting with a wide range of stakeholders, together with his knowledge and understanding of what is required to deliver complex projects (such as the Queensferry Crossing) within our communities, brings a new dimension and perspective to our organisation. 4 Oct – The Hazelwood School Building, Glasgow was today included among an international list of “Inspiring Innovations in Education” 100 Global Inspiring Innovations of 2017 by HundrED. 2 Oct – On World Habitat Day, Scottish Natural Heritage announces recently commissioned research into the opportunities for green infrastructure within housing projects. Everyone in Scotland should be able to access nature on their doorstep, according to new SNH Chief Executive Francesca Osowska. As part of a wider drive to encourage greater access to green spaces, SNH has commissioned research into the opportunities to provide social housing projects with green infrastructure. The theme for the United Nations’ World Habitat Day, October 2 2017, is Housing Policies: Affordable Homes. SNH’s ambition is that everyone should have easy access to good quality greenspace and opportunities to experience nature close to where they live, which supports the national indicator on access to local greenspace. 28 Sep – The Scottish Housing Minister today announced £90k to support pilot projects to assist people wanting to build their own homes with a new Challenge Fund. Speaking at the closing event of the Festival of Architecture in Edinburgh on Thursday, Mr Stewart will confirm the new fund will be open for applications by the end of October. 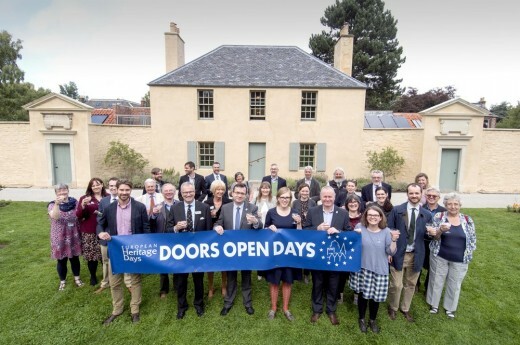 “I am delighted to be part of this month-long celebration of Scottish Architecture, its legacy and in particular, this year’s special Festival of Architecture theme, our homes. The Festival, running alongside Scottish Civic Trust’s Doors Open Days, has shown that people across the country can be more confident about engaging with architecture and all aspects of the design of our public spaces. With more than 50 events there has been something for everyone, whether hands on experiences, participation, purely entertainment, challenging or educational. “The new Challenge Fund I am announcing today will also help those with ambitions to create their own homes, encouraging and supporting them to make bold decisions based on their needs and circumstances. Good quality, inspirational housing can have an impact on almost every aspect of our lives, it provides security and comfort and a place to raise our families. This fund will give people greater choice in how they live. Scottish Justice Centre Building design by Edinburgh architects office Reiach and Hall. 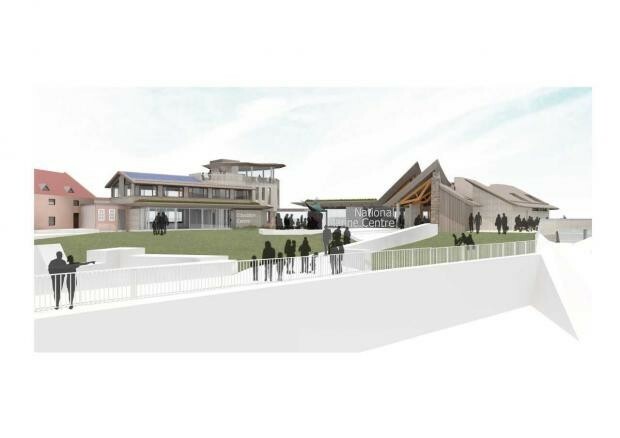 Work set to start after Highland Council gives updated design approval. 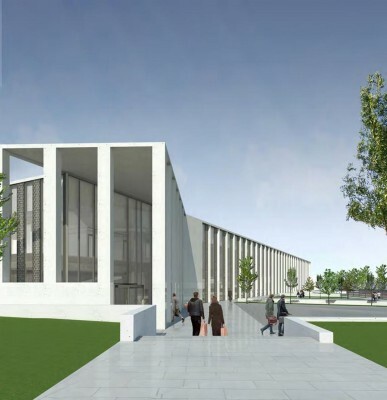 Preparations to build Scotland’s first purpose-built Justice Centre in Inverness have taken another step forward after Highland Council approved the improved design. 13 Sep 2017 – Scotland’s home building industry is urging the Scottish Government to guard against complacency over housing as new statistics show a marginal increase of just 251 homes (one per cent) completed in 2016-17 compared to the year previous. 12 Sep – With a blank canvas in place, the kitchen needed to tick many boxes. 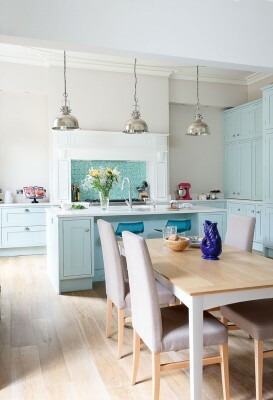 It had to be both a practical and social hub for cooking, eating and relaxing. In terms of style, the owners wanted a slick, modern silhouette that would look at home against a period backdrop, surrounded by feel-good neutrals, natural textures and a sprinkling of retro furniture. The builders suggested they head to local kitchen showroom Kitchens International, where they hooked up with designer Stuart Miller. 12 Sep – Planning permission for the next phase of regeneration at thePennywell Living development has been submitted to the City of Edinburgh Council. The application, from regeneration firm Urban Union and architects and town planners Barton Willmore, includes plans for 315 dwellings – comprising 175 flats and 140 houses. 5 Sep – With the First Minister renewing her mission to tackle homelessness and rough sleeping in today’s Programme for Government announcement, the country’s home building industry emphasised the fundamental importance of ensuring that Scotland has a housing system that works for everyone. More on the Glasgow Architecture news page. 1 Sep 2017 – The boss of trade body Homes for Scotland (HFS), Nicola Barclay, won CEO of the Year at the inaugural Scottish Women’s Awards in Glasgow on Wednesday night. Approaching her second year in post as Chief Executive, Nicola is focused on addressing Scotland’s housing crisis by creating the conditions that are necessary for increasing the delivery of new homes. 1 Sep 2017 – As the population of the UK inexorably increases, the most frequently employed stock response in political circles is to promise to build more houses. In Scotland alone, the Holyrood government has a target of 50,000 new affordable homes. 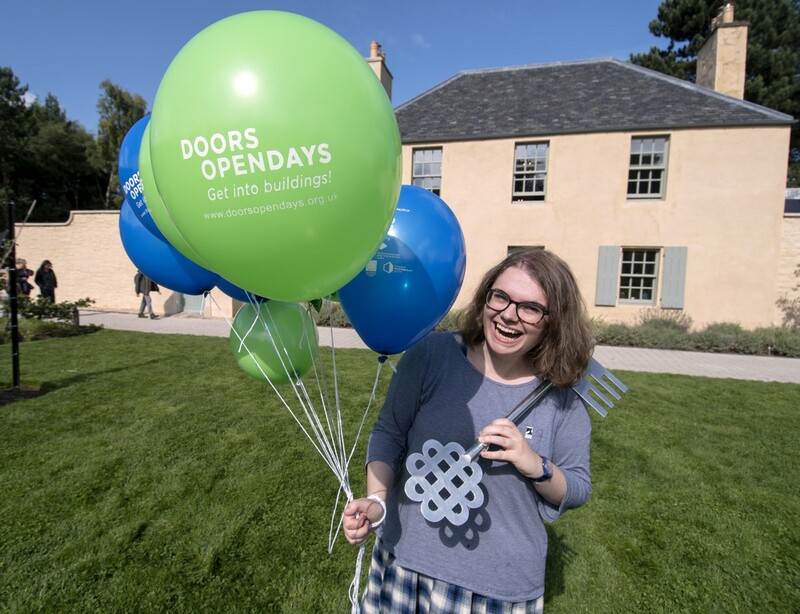 On Friday 1st September at 11.00 am the national Doors Open Days 2017 programme will be launched at the Botanic Cottage, Royal Botanic Garden Edinburgh. 29 Aug 2017 – Expresso Property Ltd has announced that it has concluded missives on The Mill Quarter site, a brand new landmark mixed leisure scheme with residential apartments. 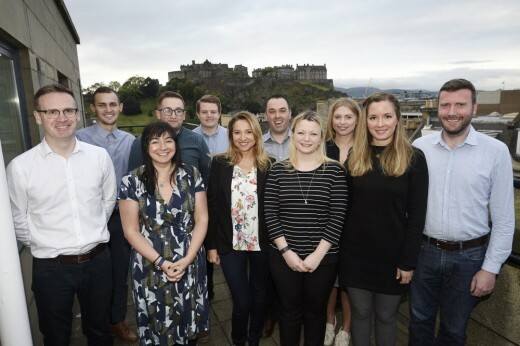 28 Aug – Mosaic Architecture + Design, one of Scotland’s most experienced practices, has acquired Burnet Bell (Glasgow’s second oldest architectural practice, dating back to 1878) for an undisclosed sum, boosting its staff numbers to 20. 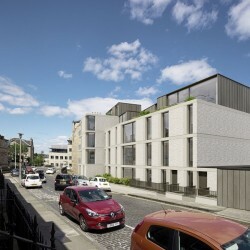 The acquisition adds Glasgow School of Art, St. Aloysius’ College and St. Columba’s School amongst others to Mosaic’s burgeoning client portfolio and enhances its offering of consultancy services, which includes architecture, interior design, masterplanning, to a range of sectors, such as education, residential care and hospitality. 28 Aug – The RSA announce that celebrated British architect Sir David Chipperfield will present this year’s event, on the 2nd of October. In an interview, which will be published and available at the event, Sir David talks about how he started, the problems that international investment creates in cities, and how to help people like modern architecture – more info on our events page. 22 Aug – Elgin, Scotland; 22 August 2017, Springfield Properties, a leading housebuilder focused on Scotland offering private and affordable housing, announces its full year results for the year ended 31 May 2017. Sandy Adam, Executive Chairman of Springfield Properties, said: “I am pleased to report another year of strong growth, reaching the milestone of £100m revenue for the first time in our history. This has largely been due to the tremendous work carried out by each and every one of our 500 staff who have built high-quality and desirable affordable and private homes. We are also proud to have reached the key milestone of building our 4,000th home during the year. 13 + 10 Aug – Mecanoo Architects have emerged as Perth & Kinross Council’s preferred partner to bring forward a transformation of the historic Perth City Hall following an international design competition after winning the most support during a public engagement exercise . Edinburgh’s GRAS Architects have been awarded planning consent for a two-bedroom extension to an existing property on King Edward’s Road, Hackney, to provide an extended living space and additional bedroom. 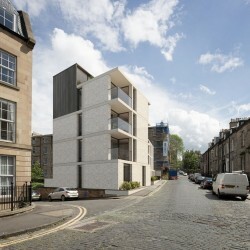 Submission of plans for 11 flats by LBA at Edinburgh’s Gayfield Square. The design blends a contemporary design of natural stone within the New Town conservation area. The ‘ordered vertical design’ will replace a row of unremarkable workshops which housed a car mechanics prior to conversion to an art gallery in 2000. Talk by Alastair Parvin, founder of WikiHouse and TED speaker followed by networking. 2 Aug – The L.A. design studio beat off competition from 125 teams from 22 countries to design the £25m project to revitalise West Princes Street Gardens. 31 Jul – The Getty Foundation announced $1.66 million in architectural conservation grants dedicated to twelve significant 20th century buildings as part of its Keeping It Modern initiative. 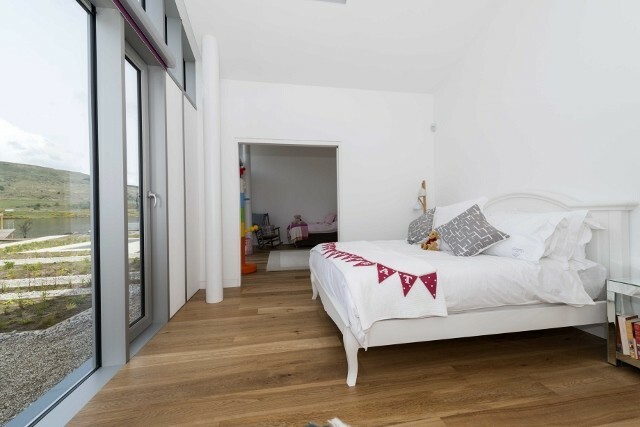 22 Jul – Cundall is proud to be supporting the Edinburgh based charity ‘It’s good 2 give!’ by helping build Ripple Retreat, their recently opened respite house for young people with cancer and their families. “It’s good 2 give!” is a registered charity that raises money for local young people with cancer and their families in Scotland and Ripple Retreat is their purpose-built respite house which will allow families to escape and spend a short break together in a restful, safe place. Designed by architects the Kettle Collective, the 260m2 three bedroom house features a distinctive ripple shaped roof with large glass windows providing stunning views across the loch. Inside, elegance and luxury are combined with fun and colourful elements to create a modern space that is full of light and the reflections of the Retreat’s stunning surroundings. More than 40 families are expected to use the retreat each year for short breaks of up to a week long. 21 Jul – The City of Glasgow College Building – designed by two Edinburgh architects practices – is one of six buildings on the shortlist for the 22nd annual Royal Institute of British Architects (RIBA) Stirling Prize for the UK’s best new building. The building is by Reiach And Hall Architects and Michael Laird Architects. Often seen as an issue only for contractors, in reality early design decisions have a big impact on the volume of construction waste created within a project. 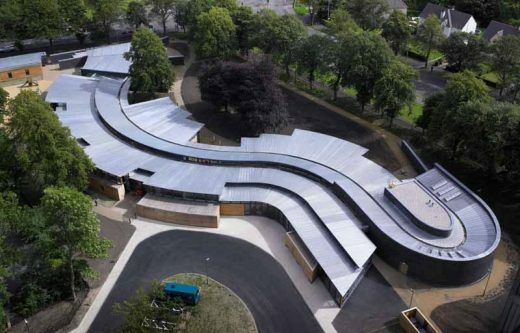 This event, run by Resource Efficient Scotland in association with RIAS will outline how designers can make bids stand out through use of resource efficient design practices. The event will include guest speaker Gill Scampton from Pedder and Scampton Architects, winner of the RIAS Zero Waste Scotland Resource Efficiency Award 2017. More info on this and other Edinburgh architecture events on our events page. 18 Jul – Fifteen student projects were presented at a special event held in Edinburgh on Thursday 13 July. The winners were announced following – a quick fire ‘Chiff-Chaff’ presentation where the students shared their projects, process and inspiration with other students, the jury and members of the public. 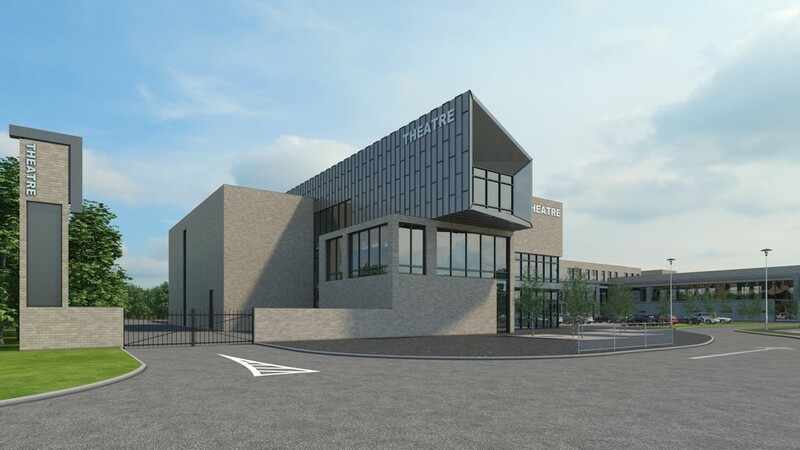 12 Jul – A new £34.5m Cumbernauld Community Campus which will bring together a purpose-built high school and a new theatre and arts venue. 7 + 6 Jul – The statue at the top of The Ross Fountain in West Princes Street Gardens was lifted off marking the start of the £1.5M renovation. The event took place noon on Thursday. 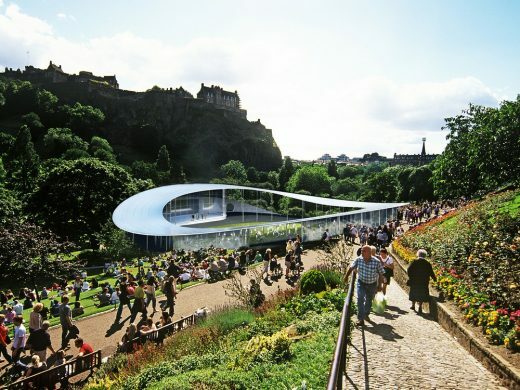 This is part of the wider £25M revitalisation of West Princes Street Gardens. 5 Jul – Whilst today’s Scottish GDP figures show the economy growing by 0.8%, they also reveal a fifth consecutive quarter of contraction in construction. “The ongoing decline in construction is extremely concerning and reflects the view of our members that it has never been harder to open new sites and get much needed homes out of the ground. 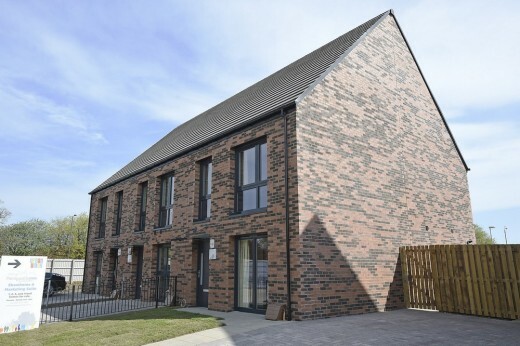 “It is particularly frustrating for us knowing that, if a more supportive policy framework to encourage housing investment was in place, home building could make even more of a contribution to boosting Scotland’s economic growth. For example, research shows that a return to building pre-recession levels of 25,000 homes per annum could generate an extra £1.9bn in Gross Value Added each year. 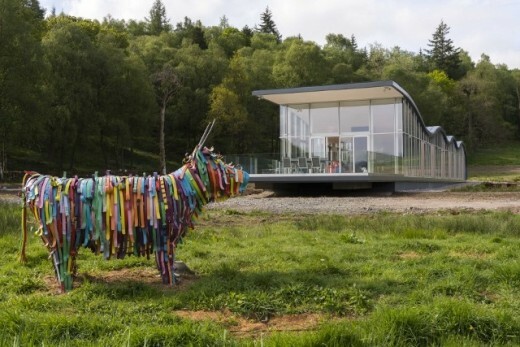 4 Jul – The Architecture and Design Scotland (A&DS) and the Royal Incorporation of Architects in Scotland (RIAS) Scottish Student Awards for Architecture showcase and celebrate the best of Scotland’s emerging talent. The event takes place on 13th July at Cafe Camino in Edinburgh, with presentations from this years nominated students. 4 Jul – Initiated by a group of architects, designers, photographers, engineers, visual artists, curators and musicians the Architecture Fringe is an independent, contributor-led series of events and projects across the arts which explores architecture and how it makes a difference to our lives, report the RIAS. The first ArchiFringe programme opened on Friday 1st July 2016. Hosting 37 projects from over 60 contributors the programme included new artistic work, events, exhibitions, talks, environmental installations, community self-builds and a summer school. The Architecture Fringe is taking place from 1-23 July 2017. 4 Jul – Expresso Property Park Quadrant Ltd, sevelopers behind the ‘missing piece’ of Glasgow’s Park Circus district have published a pair of illustrative video fly-throughs showing a bird’s eye perspective of 98 planned apartments and penthouses. Park Quadrant Residences takes the form of an outer ring of accommodation to the north of Park Circus, completing a masterplan concept first devised by architect Charles Wilson in 1851. The development includes eleven apartment blocks spanning six floors and consisting of one, two and three bed, duplex and penthouse apartments. 4 Jul – The RIAS is “providing the opportunity for events organisers to access support finance to enhance existing or create new activity, reflecting the themes and supporting the aims of the Festival.” Applications had to be submitted by today, 4th July 2017. 3 Jul – David Livingstone’s great, great grandchild welcomes multi-million pound funding from the National Lottery and Scottish Government to create a state-of-the-art visitor centre celebrating one of Scotland’s National heroes. Exciting plans to transform the birthplace of influential explorer and missionary, David Livingstone, into an international tourist destination are due to be unveiled on the 4th of July. 2 July 2017 – The number of households that have purchased a new home through the Scottish Government’s Help to Buy shared equity scheme has topped ten thousand, according to latest figures. 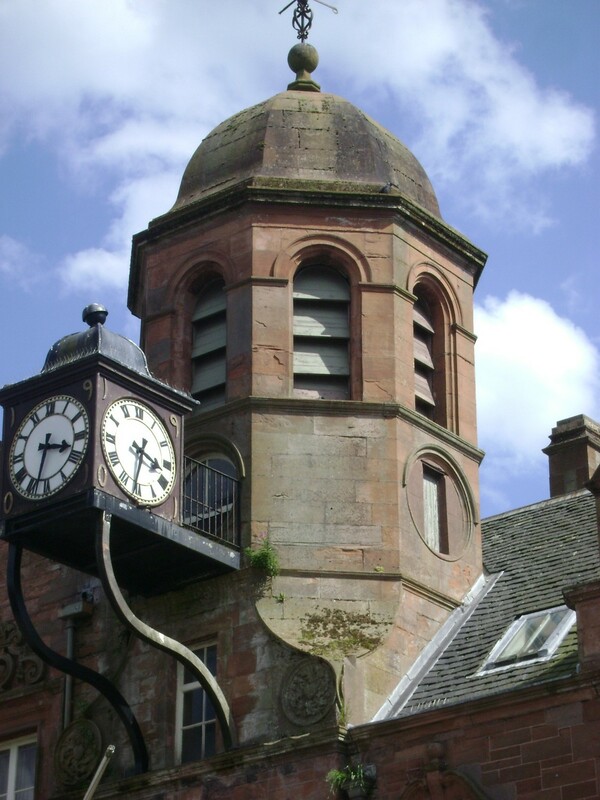 2 Jul – Edinburgh Napier University has begun the process of stripping cladding from its Bainfield Halls of residence in Fountain Park, amidst fire safety fears raised in the aftermath of the Grenfell Tower tragedy in London. Removal of the ‘wood effect’ exterior cladding, Reynobond PE, is expected to take up to four weeks, in time for students arriving for the 2017-18 academic year. UK Tower Cladding Tests – news of cladding samples from high rises in 41 England & Wales local authority areas failed fire safety tests carried out by the BRE. 1 Jul – This listed Georgian townhouse, No. 5 Carlton Terrace, was built in the 1820s. The A-listed home spans four floors in the heart of Edinburgh. The asking price by Rettie is for offers over £2.85m, one of the highest prices for a townhouse in Scotland this year, and roughly ten times the average in Edinburgh. The refurbished interior design was by Ian Smith Design, who also designed Martin Wishart’s Michelin-starred restaurant in Edinburgh. Most Luxurious Home in Edinburgh?